No matter how much access you have, it won’t amount to much unless you can convert your relationship into dollars. As the Founder and Chief Revenue Officer of The Selling Agency, Shawn Karol Sandy has developed moneymaking sales strategies for some of the nation’s biggest companies. Shawn is also a sought-after speaker and writer and the co-host of The SellOut Show. In today’s episode, Shawn breaks down the real difference between marketing and sales, shows us how to master the price conversation, and reveals the best ways to foster customer relationships. 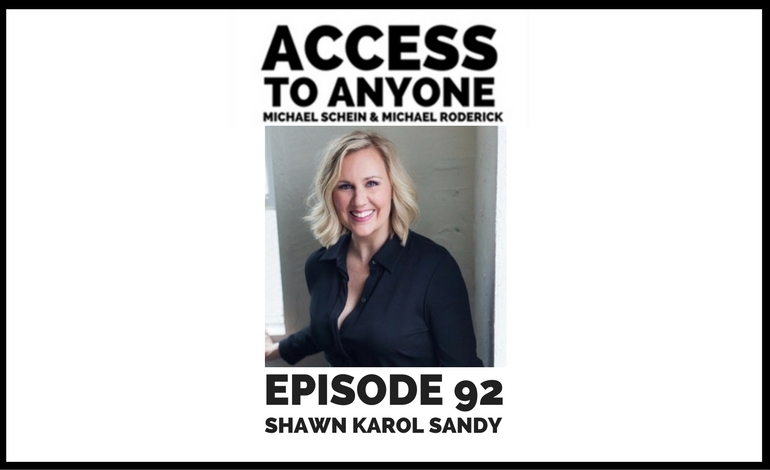 Shawn Karol Sandy has earned many titles throughout her career: Market Director, Sales Manager, Operations Manager, Production Manager, Marketing Director, Development Director, Business Manager, Entrepreneur. At every step of the way, her success has come from redefining and re-engineering her roles. Her business, The Selling Agency, uses these experiences to create strong sales programs focused on Organization Selling and strategies that focus on the goal of every business – revenue growth. Straightforward, practical and perhaps slightly cheeky, her innate gift is helping people find new ways to solve old problems, approach new ones, and help businesses re-invent themselves and their sales strategies. With bold and brave thought leadership and clear action plans, her impact on business is measurable and meaningful, and will lead your sales revolution to growth and revenue goals.